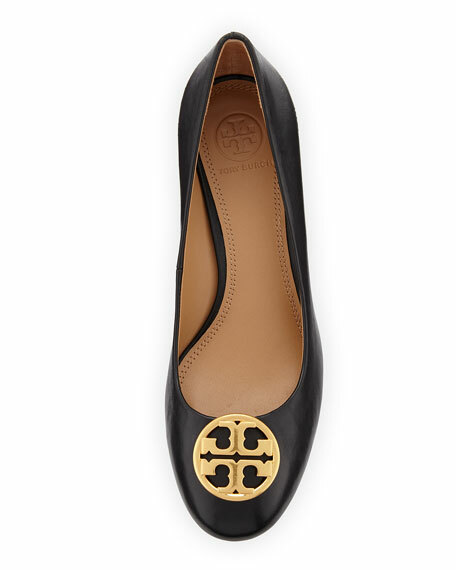 Tory Burch leather pump with logo medallion. "Chelsea" is made in Brazil. Christian Louboutin patent leather pump. 5" covered stiletto heel. 3/4" red platform; 4 1/4" equiv. Peep toe with low-dipped vamp. Christian Louboutin patent leather pump. 5" covered stiletto heel. 3/4" red platform; 4 1/4" equiv. Peep toe with low-dipped vamp. Leather lining and padded footbed. Signature red leather outsole. "Very Prive" is made in Italy. Gianvito Rossi suede pump. Approx. 4.1" covered stiletto heel. 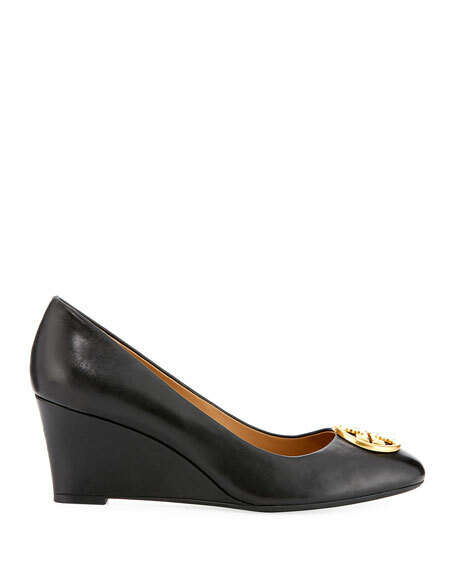 Pointed toe; single sole. Low-dipped vamp visually elongates legs. Leather lining and outsole. Made in Italy.